I have fallen in love! 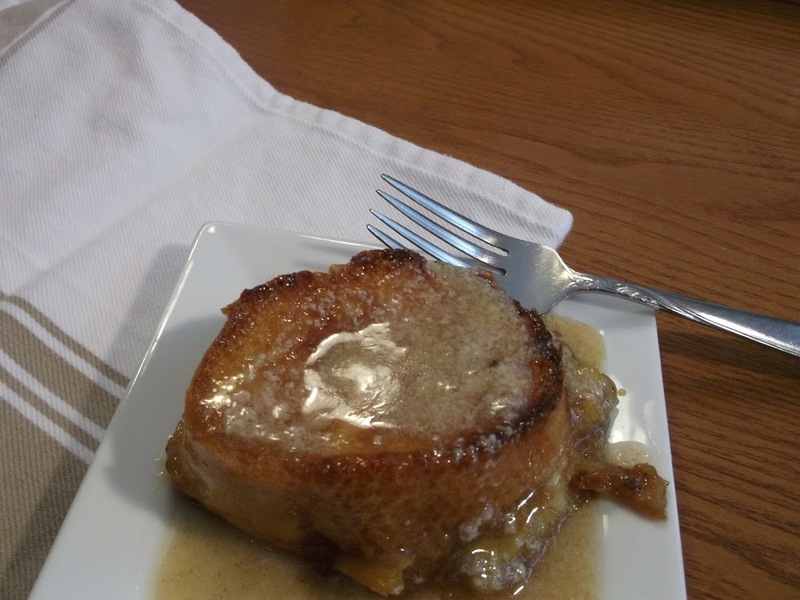 Yes, I have fallen in love with baked French toast! The first time I baked one of these yummy recipes was on Christmas morning. It was the post for the baked French toast with the peaches, it was delicious, but I love this one even more. I found this recipe in a cookbook that was borrowed to me by my daughter’s boyfriend’s mom. Joe had told his mom that I had started a blog; and she thought I might enjoy looking for some recipes in this cookbook that I would like to post about. I thought that was so nice of her and I have actually found several yummy recipes that I can’t wait to make. When I saw this French toast bake I knew that it would be the first one that I would try. The caramel apple French toast is actually assembled the night before and chilled in the refrigerator over night. The caramel is not too heavy, but quite delicious and blends in with the apples for a wonderful flavor. 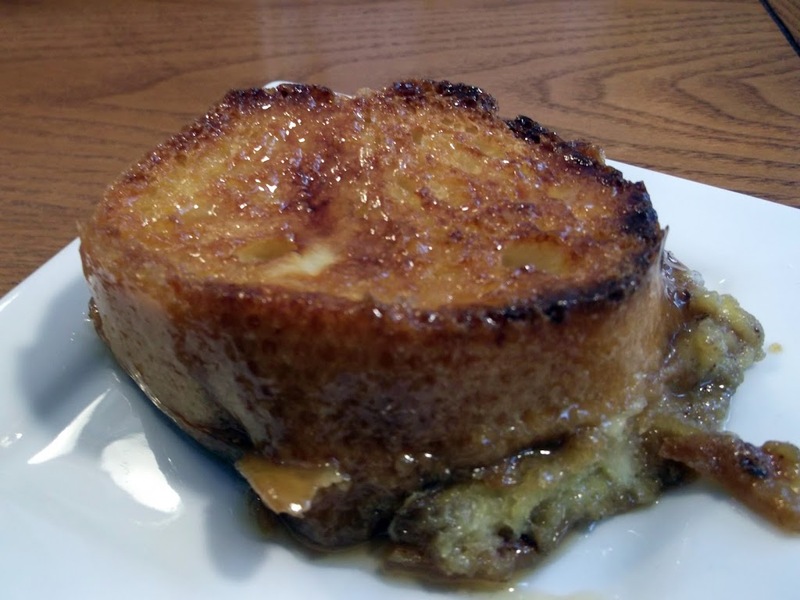 The French toast part of this dish gets a little crunchy over the top, but the bottom is tender. 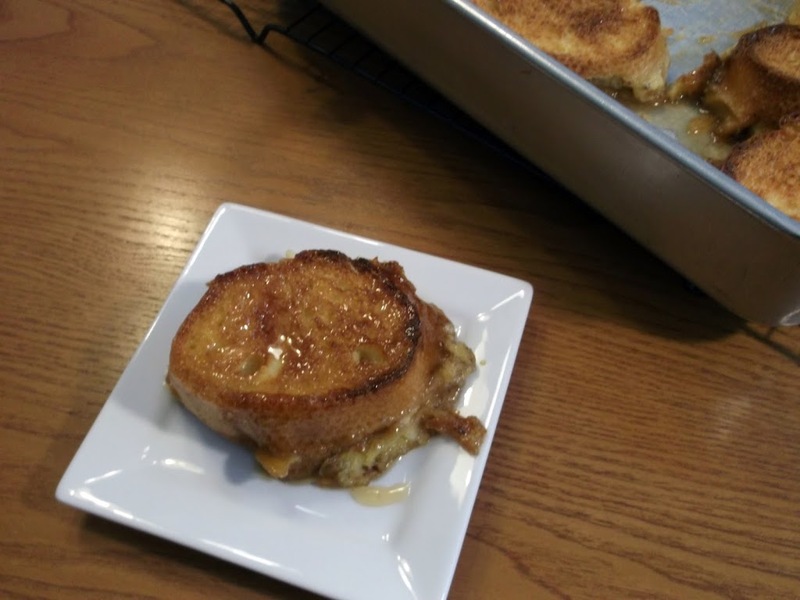 The caramel, apples, and the French toast roll into one delicious breakfast. It is so easy and quick to make and it is nice to be able to get up in the morning and slide it in the oven. The aroma of it baking will get those late sleepers hopping out of bed to see what smells so good. In a saucepan, combine butter, brown sugar, and milk. Bring to a full boil. Pour in a 9 x 13 inch pan. Lay apple slices in rows on top of cooled caramel. Sprinkle with cinnamon. Slice French bread in 1 1/2 inch thick pieces. Lay over apple layer. Beat milk, eggs, and vanilla well. Pour over bread layer. Cover and chill overnight. Bake at 350 degrees for 50 to 60 minutes or until light brown and crispy. Liebster award. Adele is somewhat one of the newer bloggers in the blogger world, but her blog is filled with wonderful desserts and dishes you won’t want to miss. She has beautiful pictures to go along with all of her posts. So I hope you visit her blog, you won’t be disappointed. Thank you, Adele for the award and your thoughtfulness. -Copy and paste the blog award on your blog. -Present the Liebster Blog Award to 5 blogs of 200 followers or less who you feel deserves to be noticed. -Let them know they have been chosen by leaving a comment at their blog. Here are the 5 blogs that I have chosen to give the award to. They are all awesome blogs that I am sure you will enjoy. If any of these bloggers do not want to participate in the award feel free to say no thank you, I will not be offended. The way you describe it sounds delectable! I need to make me some overnight french toast!